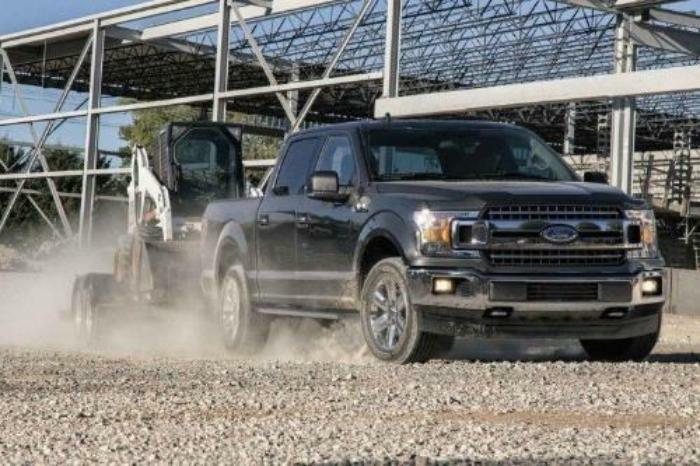 Revealing capability in an impressive nature, the 2018 Ford F-150 is revealed. Through a selection of two or four doors models with seating for up to six, this truck delivers a work-play balance that is perfect for an active lifestyle. Available trim levels include the XL, XLT, Lariat, King Ranch, Platinum, Limited and the Raptor. As you set foot inside the 2018 Ford F-150, you are met with ambient lighting and an ergonomic layout that puts the driver at the centre of it all. Relax on a series of available seating options, including the available leather-trimmed front bucket seats with a flow-through centre console to keep your belongings secure and close by. Grip the refined available leather-wrapped steering wheel with its mounted controls for easy access to your settings without distraction from the road. Keep the peace with the dual-zone automatic climate control as you set and maintain two different front temperatures at the same time. The optional 60/40 flip-up split rear bench seats help you to bring along extra passengers or cargo or both. 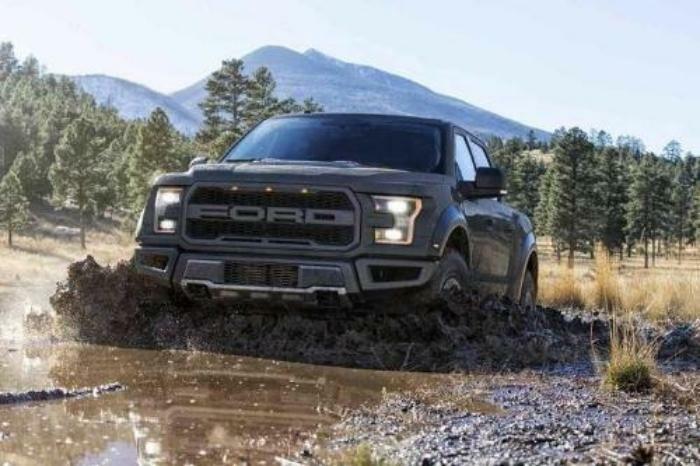 Extreme durability is brought forward on the exterior of the 2018 Ford F-150 as you take on the day fully equipped. You are given the optional BoxLink Cargo Management System to keep all your belongings organized and secure. Light up the night with the available Quad Beam LED headlights, fog lights daytime running lights and LED taillights as you ensure your ability to see and be seen on the road. Features such as the available chrome two-bar style grille elevate your on-road identity as the optional power twin panel moonroof brings in fresh air and natural light. 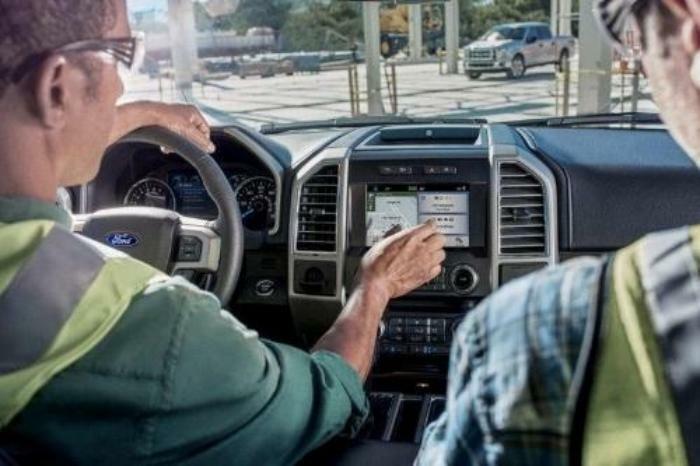 Drive with connection and focus in the 2018 Ford F-150 as the 8” Productivity Screen provides you with everything you need to know. The available SYNC 3 infotainment system promotes groundbreaking technology and hands-free capability to keep you in communication with the outside world without compromising your focus on the road. It also delivers a voice-activated touch-screen navigation system, helping you find each destination with ease. Express your unique sense of style or enhance certain aspects of your 2018 Ford F-150 through a range of Genuine Ford Parts and Accessories. You are given the option to increase interior protection through a selection of cargo organizers, seat covers and floor mats. Expand the capability of your truck bed with the addition of side steps, bed cargo illumination, bed liners and more. Miracles do happen, and with the 2018 Ford F-150 you will soon become awed at the capability, performance and endurance it reveals. Take on more with the reliability of the electronic 6-speed automatic transmission or enhance responsive agility through the available Electronic 10-speed automatic transmission. From modern design details to impressive performance capability, the 2018 Ford F-150 is changing the game with a refined outlook on what it means to be a truck. Explore the 2018 Ford F-150 at your local Vernon Ford Dealer – Watkin Motors Ford. Through a vast selection of inventory, ﻿﻿Watkin Motors Ford﻿﻿ is able to help you find the perfect fit at the perfect price. Book your test drive today!